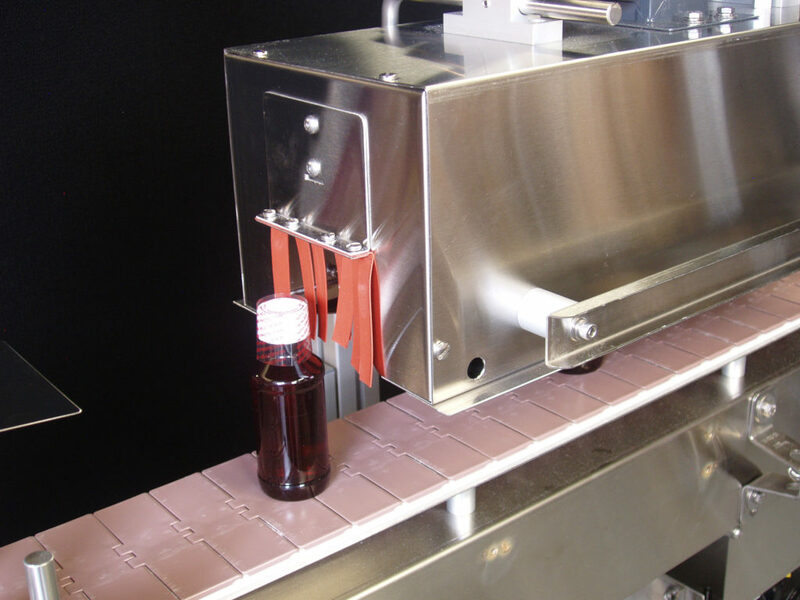 Wall, NJ: The new Pharmafill™ HT6B Heat Tunnel from packaging machinery manufacturer Deitz Co., Wall, NJ (www.Deitzco.com), automatically shrinks tamper-evident, plastic neck bands and/or sleeve labels on bottles, cans, jars, vials, tins, and other plastic, metal and glass containers. Designed for use with PET-G, PLA, PVC and other tamper-evident banding materials, the company’s latest heat tunnel features proprietary technology that uses forced air with a combination of convection and radiant heat to deliver uniform heat distribution throughout the entire length of the tunnel. The HT6B Heat Tunnel initially directs heated ambient air at the bottom of the neck band then gradually directs the air to the top of the neck band to promote consistent shrinking with a tight, secure seal at speeds of 100 bottles per minute, or faster. The affordable, energy-saving heat shrink tunnel includes sturdy, double-wall, stainless steel construction that creates an extra barrier between the heating elements and the plant environment, along with a heat-resistant curtain at the tunnel entry to help maintain the high temperature inside the heat shrink tunnel without leaking heat into the facility. Designed for easy integration in any packaging line, the HT6B Heat Tunnel accommodates containers from one inch to 10 inches high and mounts onto nearly any plastic conveyor. An adjustable-height lift stand that raises and lowers the tunnel height and companion neck banders and conveyors are available as options.